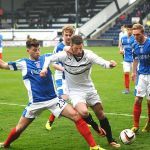 Raith Rovers’ final home league match of a somewhat topsy-turvy season ended in defeat, with Grant Murray’s side losing out by the odd goal in three in the latest Fife derby against Cowdenbeath at Stark’s Park this afternoon. 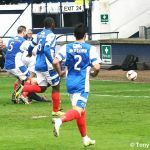 Whilst Rovers’ participation in next season’s Championship is all but guaranteed thanks to a vastly superior goal difference over today’s opponents, the manner of the defeat will have provided little comfort for the Kirkcaldy faithful, and the memories of a glorious Ramsden’s Cup win against Rangers a mere three weeks ago appeared to have faded as the disgruntled fans trooped towards the exits following this latest reverse. 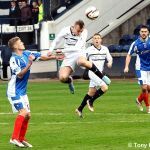 Manager Murray was forced into a few changes to his favoured starting line-up, with injuries to captain Jason Thomson and Kevin Moon, and the suspension of Dougie Hill forcing a shuffle of the pack. 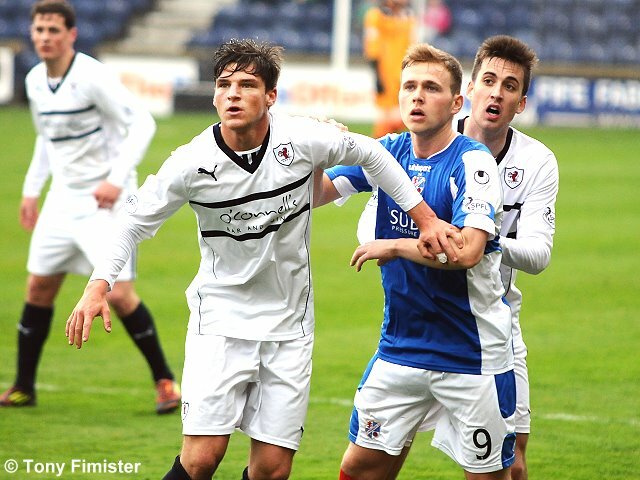 Fraser Mullen was drafted in to cover at right back, and Ross Callachan assumed the role of midfield anchor. 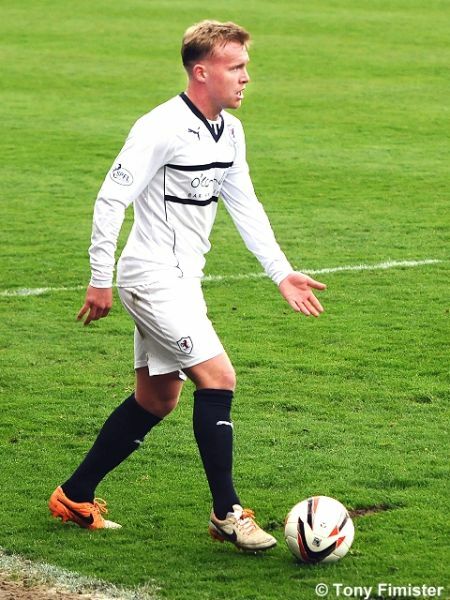 Gordon Smith took up position in a withdrawn midfield role on the right wing, operating behind a strike force of Calum Elliot and Ramsden’s hero John Baird. 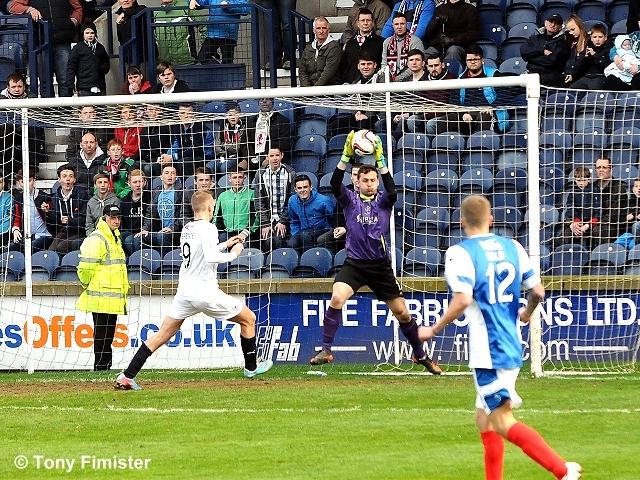 Following a rather muted opening few minutes, Rovers came close to taking the lead with the game’s first chance. A surging run by Smith deep into the Blue Brazil half found Cardle in space. 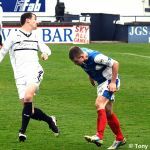 The Rovers winger fed the over-lapping Callum Booth, whose dangerous low cross evaded the onrushing Elliot by a whisker. 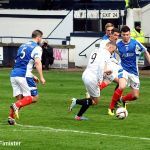 Shortly afterwards, hesitation in the box by Mullen gave Cowdenbeath a glimpse of goal, although the Rovers defence eventually managed to scramble the ball clear in rather desperate circumstances. 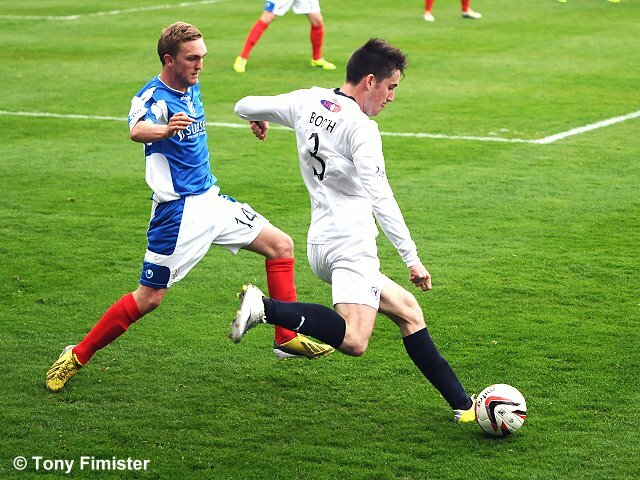 With fifteen minutes played, Rovers forced their first corner kick of the match. The subsequent inviting Mullen cross was headed narrowly over the bar by Smith. 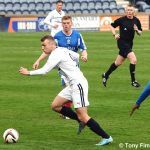 A minute later, Liam Fox tried his luck with a shot from fully thirty yards, although it failed to trouble Cowden keeper Thomas Flynn, who gathered comfortably. Despite appearing to be in the ascendancy at this point, and not for the first time this season, Rovers fell behind to a soft goal. 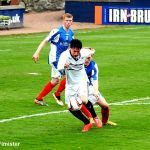 With little apparent threat, a simple reverse pass by Cowden’s Karl Hemmings put Rory McKeown clear in the box, and he clipped the ball over the advancing Lee Robinson into the gaping net with the minimum of fuss. Rovers looked to restore parity quickly, and Fox came close with a smart shot from the edge of the box which flew narrowly wide with Flynn beaten. Despite their best efforts, Rovers’ play lacked cohesion, with passes going astray with alarming frequency, and their play incurred the wrath of the fans in the home end. 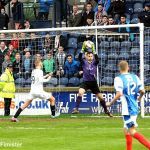 In fact, Rovers were fortunate to remain a single goal in arrears when a long throw-in deep into their box was inexplicably missed by any home defender, and Jon Robertson’s free header should have done better than find the side net. 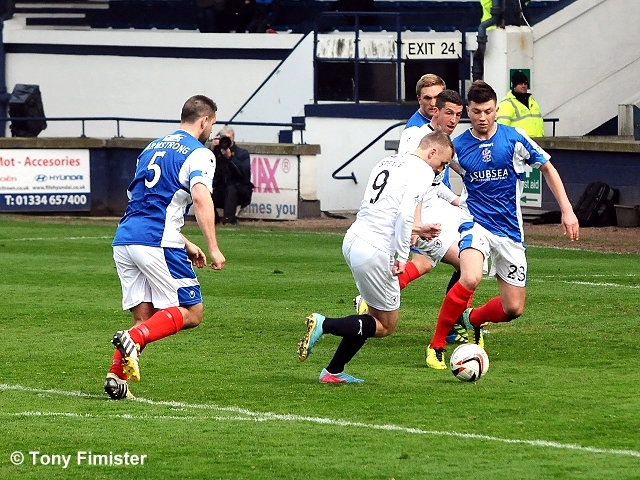 Rovers then contrived to allow two goal-scoring opportunities to pass them by. An Elliot shot was confidently parried away by Flynn, before Smith should really have done better than send his header from an inviting Booth cross over the bar from close range. 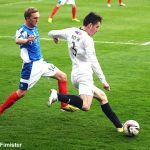 As the opening period drew to a close, Rovers cranked up the pressure, although they failed to turn their possession dominance into a tangible reward. 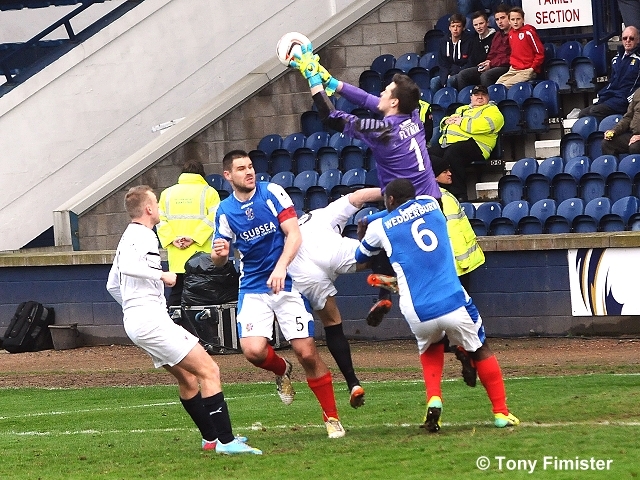 A Reece Donaldson header forced a fine diving save from Flynn, although parity could not be restored by the time Brian Colvin blew time for the interval. Rovers emerged for the second half with clear intent, and an inviting Booth cross was mistimed by Elliot whose header failed to trouble the keeper. From the resultant Cowden breakaway, Rovers almost fell further behind, although Robinson saved smartly at the foot of Hemmings. 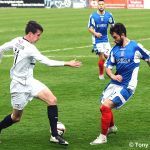 Ross Callachan then underwent treatment for a nasty-looking injury, as Rovers looked to assert themselves on the contest. And, within ten minutes of the restart, they missed a glaring opportunity to draw level. Good work down the right flank led to an astute cut-back by Callachan, and the ball fell invitingly for Smith. However, with time to choose his spot from ten yards, the former Hearts striker skied his shot horribly over the bar. 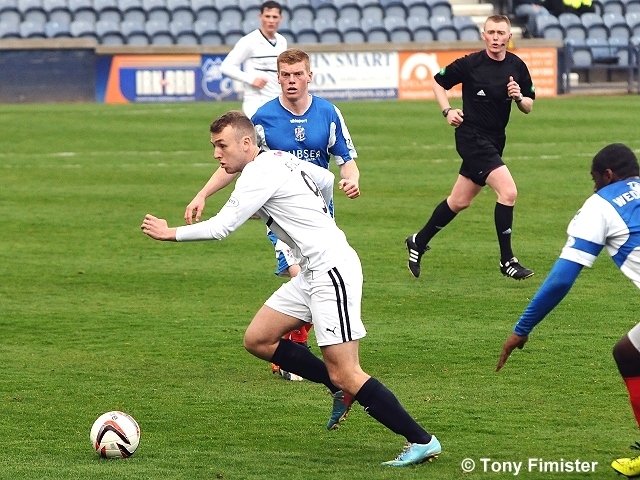 A minute later, John Baird was sent through on goal, but the striker’s lofted effort sailed harmlessly over the bar. 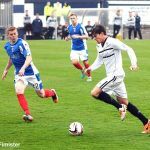 The game began to stretch at the is point, and Cowden’s dean Brett tried his luck with a speculative effort from fully thirsty yards, although his dipping shot failed to trouble Robinson who watched it sail past the upright with ease. 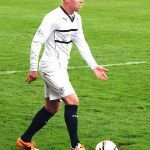 A Rovers free-kick from a promising position just outside the box by Elliot was then charged down by a suspiciously close wall, although a breakaway from the Blue Brazil led to Rovers keeper Lee Robinson sustaining an injury as he bravely dived at the feet on the onrushing Hemmings. 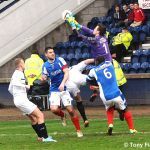 Despite Ross Laidlaw preparing himself for action, the Rovers keeper elected to continue, although his movement appeared restricted. 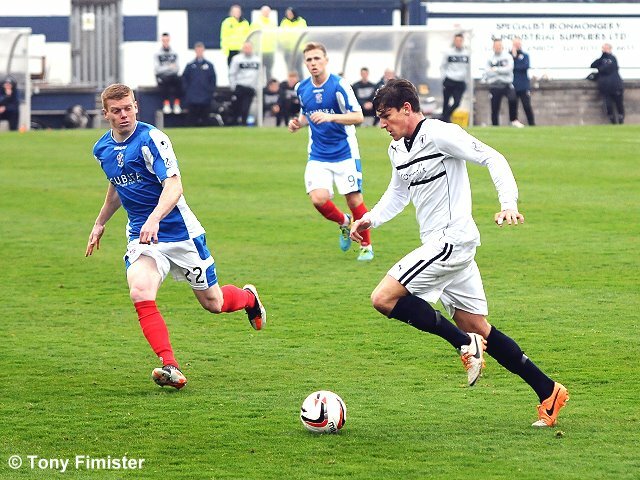 Shortly afterwards, Smith made way for Grant Anderson as the home side sought to take the game to their opponents. The substitute almost made an immediate impact, as his throw-in fell invitingly for Baird, although the striker’s shot on the turn was comfortably smothered by Flynn low to his left. 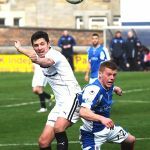 Although Rovers enjoyed the lion’s share of possession as the half progressed, Cowdenbeath continued to look dangerous on the break, and Greg Stewart should have done better, when, following a clever nutmeg of Donaldson on the by-line, he blasted his shot well over the bar from an acute angle. 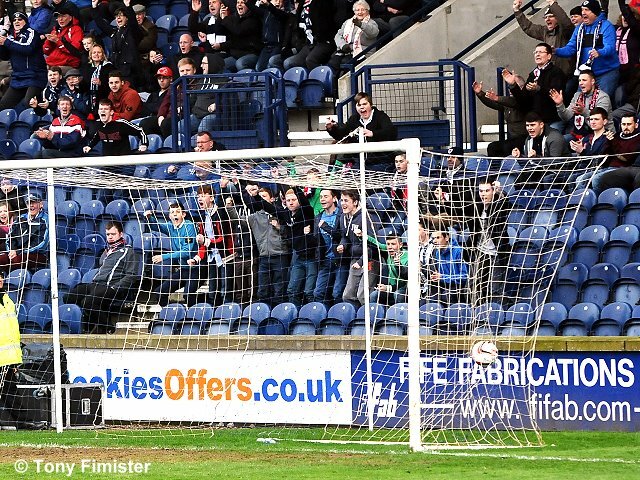 With fifteen minutes remaining, Joe Cardle was replaced by Greig Spence, much to the chagrin of the Rovers faithful. 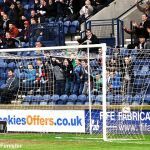 The mood of the home support was hardly lifted when Cowden fashioned a second, match-clinching goal with ten minutes remaining. 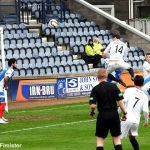 From a throw-in, Lewis Milne found himself with time and space inside the Rovers box, and the forward wasted no time in dispatching a low shot beyond Robinson into the net. Cowden boss Jimmy Nicholl’s touchline celebrations were as understandable as they were cruel to the fans housed in the home stand. At this point, many Rovers fans streamed towards the exits. Those who did so missed Rovers’ consolation strike, plundered by Greig Spence who latched on to a neat Elliot head-flick to drill a low shot into the net from eight yards. For all that the game was almost at a close, there was time left for Elliot to earn a caution for dissent, and Liam Fox to waste a shooting opportunity from just outside the box by dithering on a loose ball when a first-time shot was demanded. Five minutes into injury time, a deep cross by Anderson was almost fumbled from under his bar by Flynn, and the Rovers fans loudly claimed the ball had edged over the line. However, no goal was awarded, and that was that. 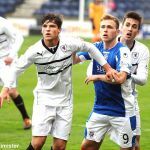 As the small band of Cowdenbeath fans celebrated a result that could yet secure their Championship status next term, the Rovers fans delivered a withering response to this latest defeat as Murray’s charges trudged from the pitch. Ultimately, it was a desperately disappointing end to a strange season, one which promised so much over the first few weeks, but became an endurance thereafter. Welcome to a chilly Starks Park the sea harr is drifting in. Our thoughts go out to the family of the late Sandy Jardine. 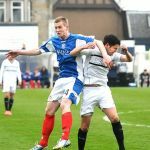 Cowdenbeath kick off towards the South Stand. Watson hurt in a clash with Stewart. Watson returns holding his right leg. Booth fires the ball across the goal to the stretching Elliot who chips over the bar from 6 yards. Fox down in a heap. Watson down again after a collision with Stewart. Watson back in the fray. Elliot and Cardle play a great 1-2 the former denied by the keeper. 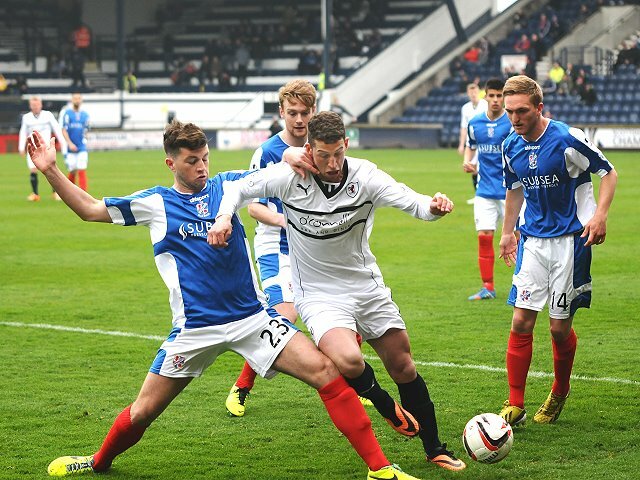 Panic in the box, no one picks uot the loose ball, Cardle finally clears. Watson heads over from 6 yards. Liam Fox hits a swerving shot from 30 yards, Flynn had time to catch the ball in flight. 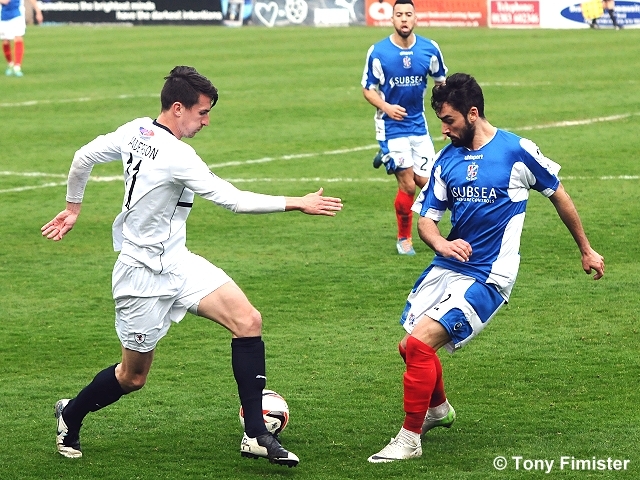 Goal Cowdenbeath, Hemmings chipped the defence to allow McKeowan to lob Robinson. Fox, with his back to goal, turns and shoots just wide of the back post. Wedderburn heads wide from Cowdenbeath throw in. Donaldson wins out in a foot race with Hemmings. 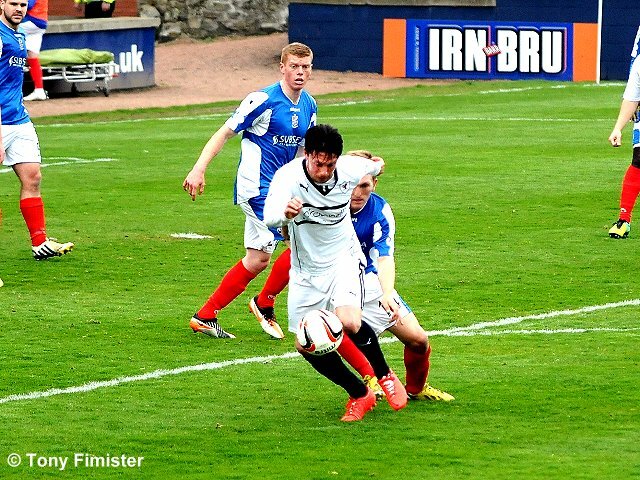 Another Cowdenbeath long throw, this time Robertson heading into the side net at the near post. Smith stings the hads of Flynn with a rasper from 25 yards. Booth with a cross to the back post alas Smith could only head over. 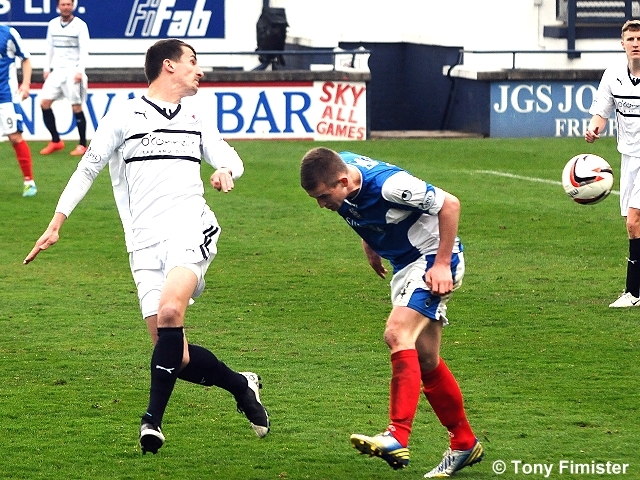 The last move started with a sublime 40 yard pass from Cardle to Elliot at the corner flag. 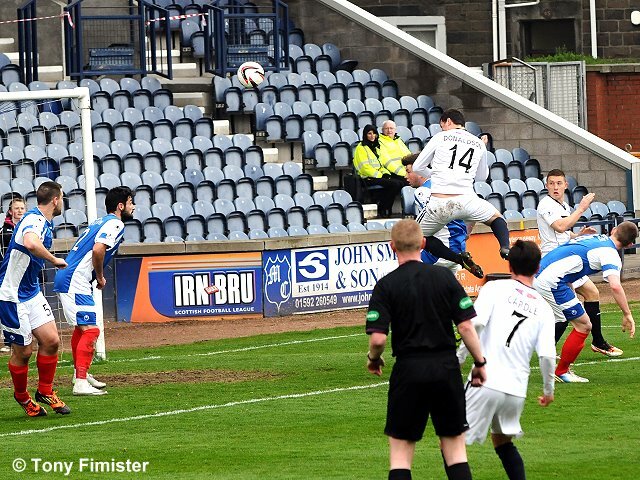 Callachan sees his long range cross plucked out of the air by Flynn. 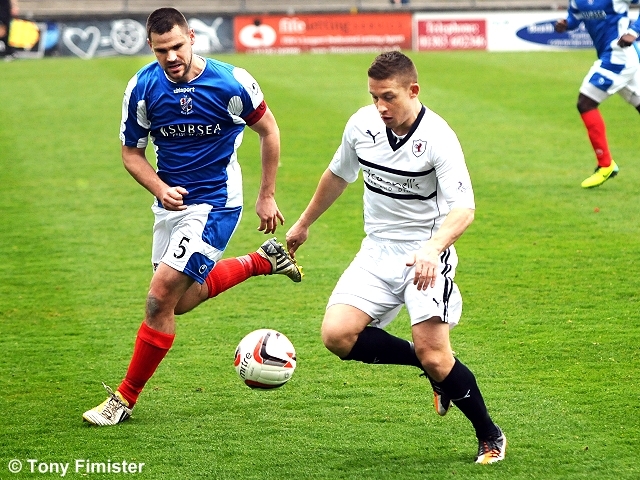 Rovers are taking the play to Cowdenbeath. Elliot heading downwards at the back post watches as Flynn drops then recovered the shot. The new away top is selling well, plenty on display in the South Stand. Booth with the cross but Elliot contrives to head backwards. Callachan receiving treatment on the pitch. Armstrong heads wide from a corner. Callachan returns to the field. Cardle's shot is deflected and Flynn just managed to trap the ball. Elliot, free on the left shoots straight at Flynn. Mullen clears off the line. Sir Jimmy's men having it their own way at the moment. Callachan wins the ball at the line, crosses but Smith skies the ball over. Baird free on the right chips the keeper and the bar. Milne yellow for bringing down Elliot. 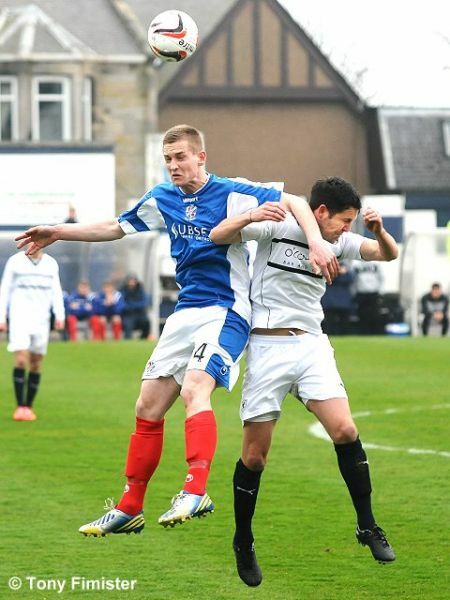 A poorly taken free by Elliot sees Cowdenbeath race north, Robinson takes a sore one saving goal. 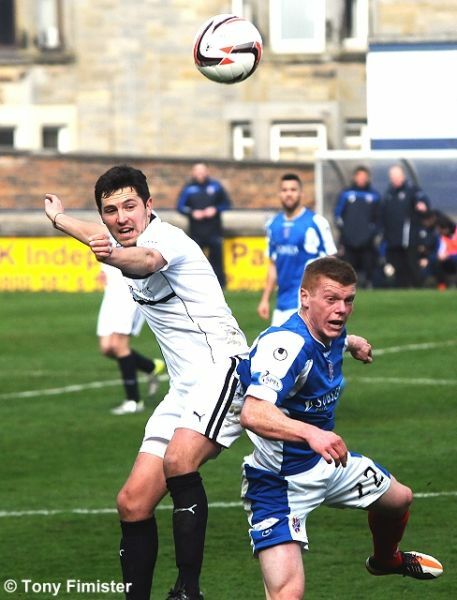 From a throw in, Baird's shot could only trundle into the arms of Flynn. Spectacular, Mullen takes out Wedderburn winning a tackle, what a miss match. Stewart wins the ball in the box but greedily shoots high and wide where he had options. Anderson sees his shot deflected for a corner. Goal Cowdenbeath, Milne from 6 yards. 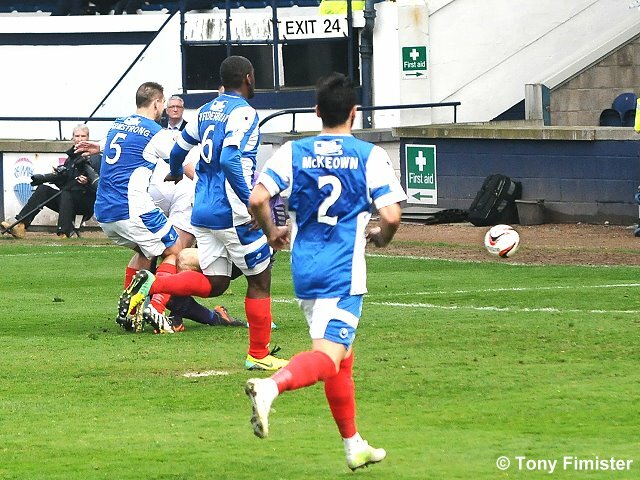 Goal Rovers, Spence beat two defenders and slotted the ball under Flynn. +1 Brett off, Gold on. +4 Anderson denied, his cross was held by Flynn who stepped behind the line and shouts went up for a goal. Full time. 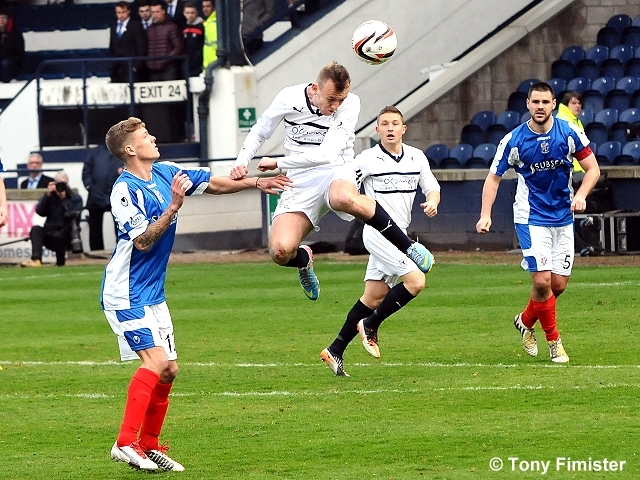 Robinson, Booth, Watson, Fox, Cardle, Elliot, Callachan, Donaldson, Smith, Mullen, Baird. Subs, Spence, Anderson, Ellis, Vaughan, Matthews, Bates, Laidlaw. Flynn, McKeowan, O'Brien, Armstrong, Wedderburn, Stewart, Brett, Milne, Hemmings, Brownlie, Kane. Subs, Adamson, Morton, Gold, Robertson, Stevenson, Miller, Usai.